Among drivers, teenagers have long been known as the most likely to be involved in car accidents. But a new study released by AAA’s Foundation for Traffic Safety is now quantifying how much that risk increases when teen drivers travel with other teens. The study relies on federal fatality statistics and shows the risk for a fatal motor vehicle accident increases by almost half when a 16- or 17-year-old driver has one teen passenger in the car. The risk for a motor vehicular fatality doubles with two passengers and quadruples with three or more. During the past decade, many states have implemented graduated licensing laws which have increased training requirements for new drivers, while also placing restrictions on passengers and hours of operation. The Massachusetts’ junior operator license law prevents drivers from carrying passengers under the age of 18 during the first six months of having a license. There is an exception for siblings. The law further bans teen drivers under 18 from operating between 12:30 a.m. and 5:00 a.m. unless accompanied by a parent or guardian. 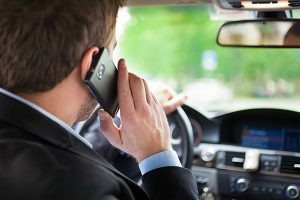 In 2010, the state of Massachusetts strengthened junior operator restrictions when it banned the practice of texting while driving for all drivers. While most drivers face a fine for first-time offenses, teens face heavier penalties of fines, license suspensions and are required to attend retraining classes. Drivers age 18 to 20 report the most phone use during motor vehicle accidents, according to the National Highway Traffic Safety Administration (NHTSA). 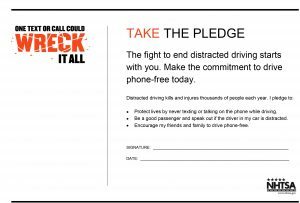 The age group is three times more likely to report they are reading or sending a text message or e-mail during a car accident than drivers over age 25. Reports of texting while driving drops significantly as age increases, the NHTSA figures show. We urge parents to strictly enforce junior operator laws in their homes. In addition to helping teenage drivers get experience without distraction, preventing use of a family car in violation of the junior operating laws is one way to avoid claims for negligent entrustment of an automobile. To parents, there is nothing more important than their children’s safety. In the car, safety starts with child passenger safety seats. This week, the National Highway Traffic Safety Administration is observing Child Passenger Safety Week. This weekend is National Seat Check Saturday, an opportunity for parents to have their child’s safety seat inspected free of charge. Motor vehicle accidents are the leading cause of death among children in the United States, according to the Centers for Disease Control and Prevention (CDC). Child passenger safety seats have been shown to reduce these deaths. For infants, child safety seats result in a 71 percent reduction in motor vehicle accident deaths. All 50 states have child passenger protection laws. Violations are a primary offense in Massachusetts and 47 other states, meaning police can stop drivers solely for non-compliance. In Colorado and Nevada, child passenger safety violations are a secondary offense. In Massachusetts, children must travel in a federally approved child passenger safety seat restraint until they are 8 years old or over 4’9″ tall. Parents often use child safety seats incorrectly. In one study observing nearly 3,500 child safety seats, 72 percent were misused, according to the CDC. This increases the chance for motor vehicle accident injuries and deaths. Massachusetts parents can ensure their child safety seat is properly fastened on Saturday, when police departments and not-for-profit organizations will provide free checks. If you are a parent of a young child, click here to find an inspection station near you. Click here for information on the Enhanced Child Passenger Safety Law in Massachusetts. Tagged: "Boston motor vehicle accident lawyers", "Child Passenger Safety Seats" and "wrongful death"
Each September, thousands of college students in Boston, Cambridge and across Massachusetts settle into campus life. And many students enjoy the extra freedom of bringing a car from home to school. But students often make one costly mistake in the transition to college life. 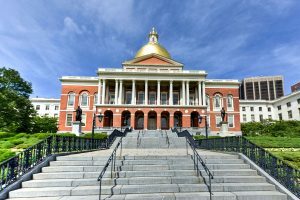 Students who have Massachusetts car insurance policies are required to inform their insurance companies about where the car is primarily kept. Otherwise, if there is a car accident, the insurance company might disclaim coverage, leaving the accident underinsured or uninsured completely. Students who fail to report their change of address and get into a car accident can be denied the Optional Insurance coverages on their policy. Even if a student relocates a short distance, such as from Dedham to a dorm in Boston, he or she must inform the car insurance company where the vehicle will now be kept. The reason? Car insurance companies rate the coverage — and therefore the cost — on where the car is principally kept. If the car moves from a low-rated area (with fewer accidents) to a higher-rated area, the cost goes up. And if you are not paying the premium for the place where the car is principally kept, the insurance company has the legal right to disclaim coverage. And that can be harsh. Bodily Injury: This protects you from claims against your personal property if you cause a serious car accident. Uninsured Auto: This coverage protects you and the people in your car if the person who causes the motor vehicle accident has no insurance. Medical Payments: The first $8,000 in medical bills and lost wages are covered under the Personal Injury Protection (PIP), part of the Compulsory Coverage all Massachusetts drivers must purchase. Medical Payments provides policy holders extra protection for medical and health insurance. Collision Comprehensive: If you are involved in a car accident, this coverage insures the damage to your vehicle. Insurance issues can be very complicated, and you should not hesitate to call your agent if you have any questions. Another resource is, “Frequently Asked Questions on Auto Insurance,” by the Massachusetts Consumer Affairs and Business Regulation office. As 35 million Americans plan to travel this Memorial Day weekend, we urge drivers in Massachusetts and throughout New England to think safety. Travel will be down 100,000 travelers from 2010, which saw a 14 percent increase from the year before, according to the auto club AAA. Approximately 30.9 million people plan to drive 50 miles or more to their Memorial Day destination. Wear seatbelts and make sure everyone in the car does the same. It is the law in Massachusetts and has proven effective in preventing traffic fatalities. In 2008 alone, seat belts saved more than 13,000 lives nationwide, according to the National Highway Traffic Safety Administration (NHTSA). If you are traveling with children, make sure child passenger seats are in compliance with the law. Passenger seats can save lives in motor vehicle accidents. Click here to learn about Massachusetts’ child passenger seat law. When the roads are congested, watch out for aggressive drivers. Aggressive driving behavior may include someone who is following you too closely, speeding or gesturing at you. Avoid eye contact. Do not gesture back. Make it your goal to move away from the driver and not be involved in an aggressive driving car accident. If you can get the driver’s license plate, report the driver to authorities when it is safe to do so. Avoid driving fatigue. Do not drive if you have had inadequate sleep, worked an excessive number of hours or late at night without proper rest. Give motorcyclists more distance – three or four seconds – when following from behind to prevent a motorcycle accident. The goal is to give the motorcyclist enough time to make decisions and stop quickly if needed. Be aware that a motorcycle’s flashing turn signal can be deceptive. The signal may not be self-canceling and a motorcyclist may forget to turn it off. Wait to see whether the rider actually turns or a motorcycle accident may result. Allow bicyclists 3 feet clearance when passing on the road. Yield to cyclists at intersections and traffic signals before making your own driving decisions. Watch out for pedestrians and runners even in areas you may not expect them. In 2009, pedestrian deaths accounted for 12 percent of all traffic fatalities. Be vigilant about not driving while distracted and not texting while driving. It may be easy to let your guard down when you are relaxing among friends and family. But motor vehicle accidents happen fast and it is best to focus on the road. If you are drinking alcohol, do not drive, bicycle or walk on the road. Tagged: "Boston motor vehicle accident lawyers", "Memorial Day driving safety", "motor vehicle accidents", "motorcycle accidents" and "pedestrian fatalities"